In this last week of September, you’re probably starting to feel the need for holiday preparation. AvantLink wants you to be ready to go this holiday season, so let’s get a head start. Today, we’ll share some strategies with you, as well as 4 new merchant programs to apply for. First up, read this article on Holiday Sales Pointers, and AvantLink’s marketing manager Chad Waite will give you some important tips for dealing with the fourth quarter craze. 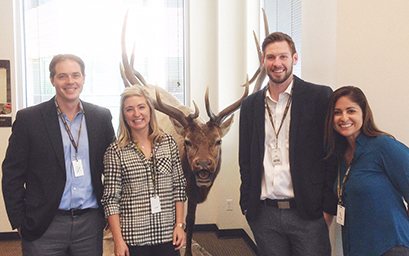 The AvantLink team travelled to Denver this week to meet with Cabelas. 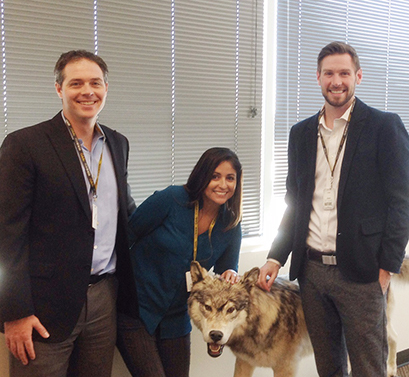 Here are some pics of the team hanging out with some (very) domesticated wild animals. To gear up for the Holidays, how about making sure that all of your content is actionable? An amazingly easy way to do this is the Affiliate Link Encoder by AvantLink. This tool automatically updates non-affiliate links on your site with tracking code, so that you can earn commission without having to go back to each post and manually insert new links. Give it a whirl! Q4 is a busy, busy time, and it’s also a huge opportunity to make the most of your affiliate programs, and get one last push in for the end of the fiscal year. See our webinar on end of the year strategies that convert and implement some of the strategies in your own program! From essential oils to insulated drink containers, our new merchant launches cover a lot of ground this week! GEO Essential’s program offers essential oils products in a hot, growing market. Earn a whopping 15% commission on a 30 day cookie. Sign up on the GEO Essential program description page. Huckberry Inc offers a cool, interesting way to shop for outdoor brands. Members get access to exclusive sale events that combine urban style and outdoor flair. Apply and earn 8% on 90 day cookie duration at the Huckberry Inc program description page. trade INN is a HUGE sports equipment network with something for every affiliate to market. Take a look at the program details and see all the different options on the trade INN program description page. Hydro Flask brings their affiliate program to life exclusively with AvantLink! Whatever drink you carry in your Hydro Flask, the double-walled vacuum insulated steel will keep it the right temperature for hours at a time. Earn 5% base commission on 30 day cookie. Apply on the Hydro Flask program description page.